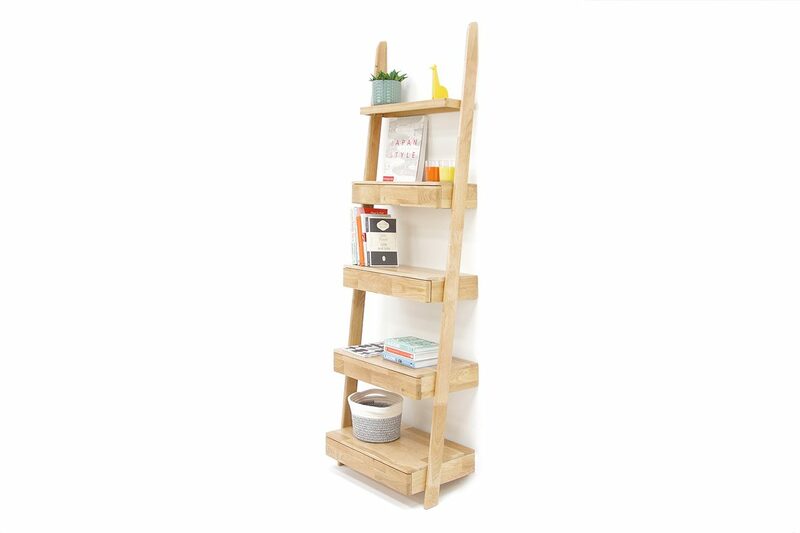 Pssst – lean in and listen closely! 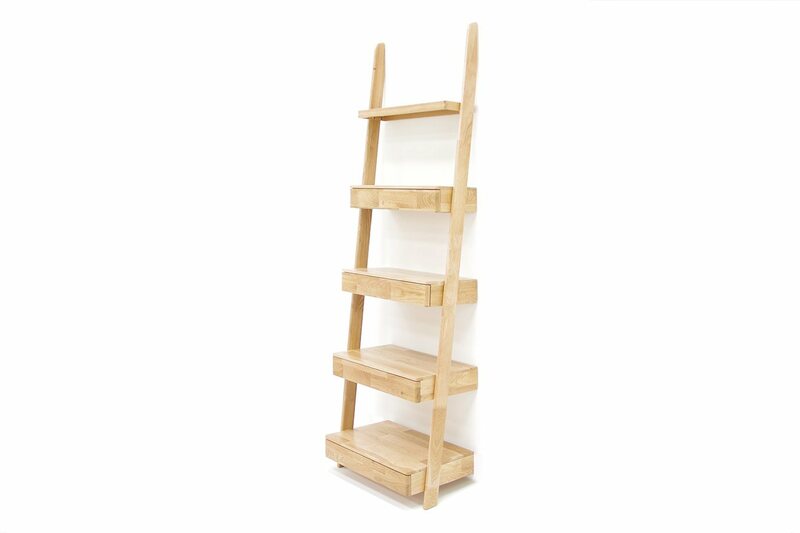 Our stylishly svelte Oak Leaning Ladder Drawers have had a refresh. 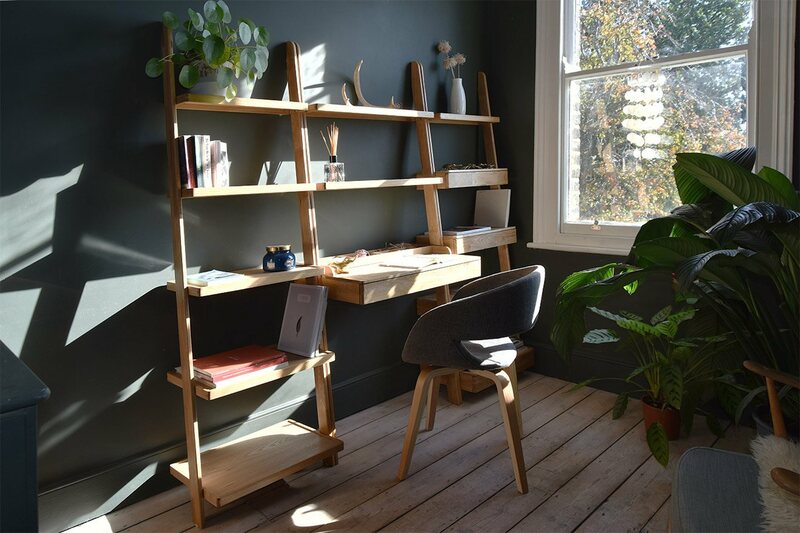 We’ve plumped for a soft and discreet makeover, and the overall finish is more rounded along the edges so it’s easier on the eye. 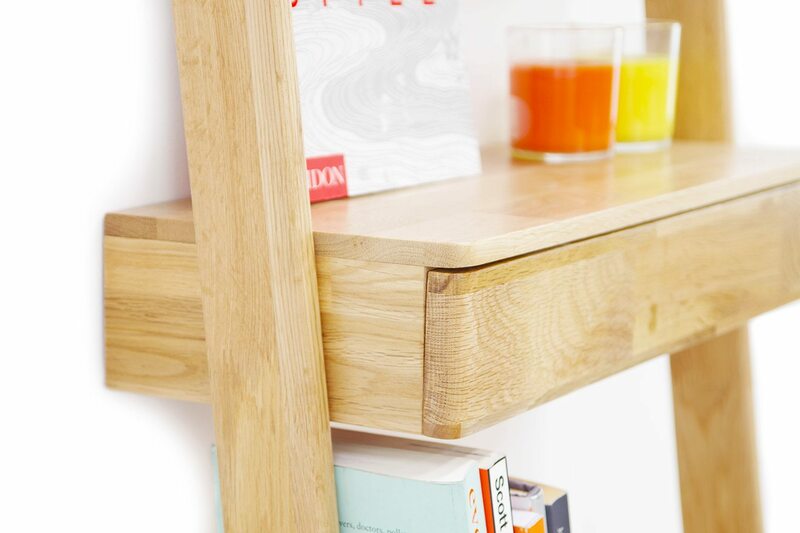 What’s more, our new-look version features shelves made from a veneered oak panel with solid oak trim - so the fittings are hidden once the shelves are built. 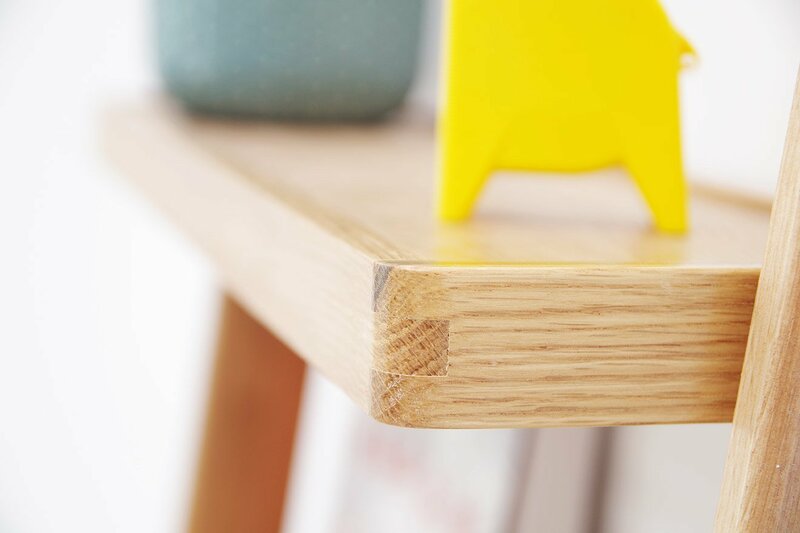 To top it off, all wood and veneer is protected by a robust and hard-wearing matt lacquer. 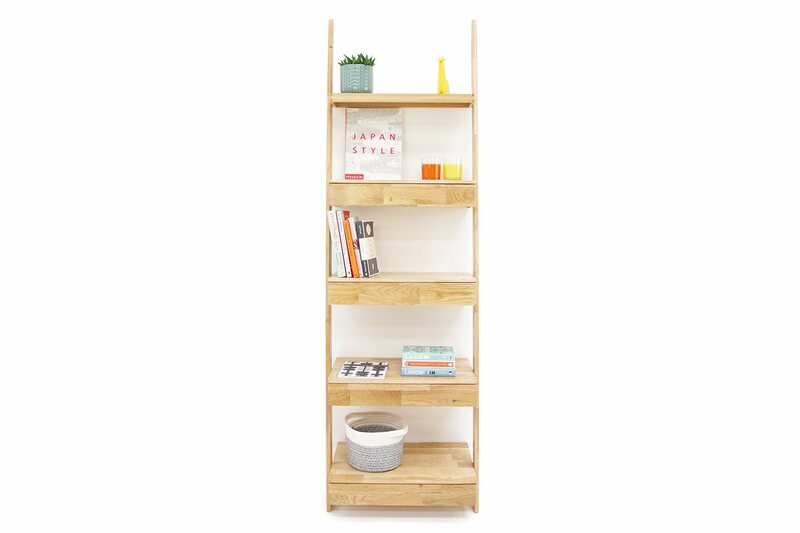 This tidy piece is ideally designed to curate and conceal simultaneously, combining shelving for knick knacks that want to hog the limelight (think pictures, ornaments and books) and cleverly concealed storage drawers for pieces of a more personal nature. 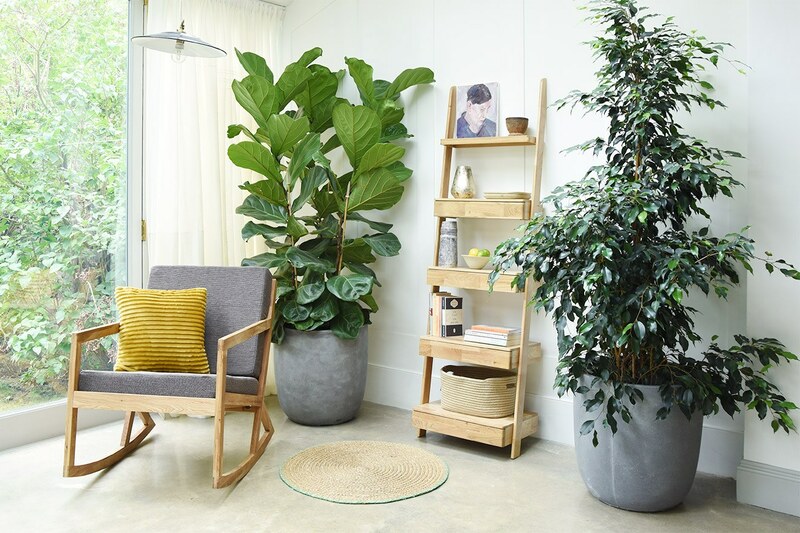 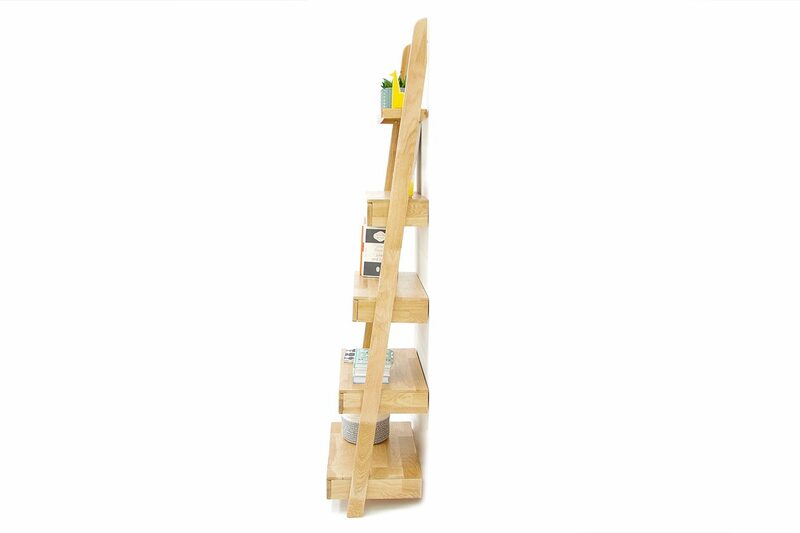 It makes the perfect companion to our oak wide ladder shelves, ladder shelves and narrow ladder shelves when lined-up against the wall.